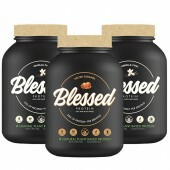 Finally, a vegan friendly protein that is not only naturally sweetened and flavoured, you can count the ingriedients on 1 hand so you know exactly what you are putting into your body. With a slightly thicker consistncey to a regular whey protein, International's ISO-PEA could be used as a satisfying and filling meal replacement, a snack in between meals or straight after a tough workout to help aid recovery. INTERNATIONAL PROTEIN NATURALS ISO-PEA 100% Pea Protein Isolate is a pure ingredient, nothing added. All you get are the benefits of Pea Protein Isolate; an easily digested (98%) and highly bio-available protein source for vegans and vegetarians that has a high alkalinity (an alkalizing protein) while being cholesterol and lactose free. Pea Protein is a highly nutritious low allergy protein that may help to regulate appetite by sustaining satiety (the feeling of fullness) for longer periods. INTERNATIONAL PROTEIN NATURALS ISO-PEA 100% Pea Protein Isolate is a plant derived protein made using a simple and gentle extraction process. 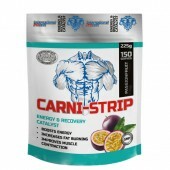 This helps to maintain the pea’s natural nutritional properties and balanced amino acid profile. INTERNATIONAL PROTEIN NATURALS ISO-PEA 100% Pea Protein Isolate can be used to boost the protein content of other foods such as breakfast cereal and fruit smoothies, or by adding to recipes such as soups, pancakes and muffins. Developed using only natural ingredients, INTERNATIONAL PROTEIN NATURALS ISO-PEA offers all the benefits of Pea Protein Isolate; an easily digested (98%) and highly bio-available protein source for vegans and vegetarians that has a high alkalinity (an alkalizing protein) while being cholesterol and lactose free. Pea Protein is a highly nutritious low allergy protein that may help to regulate appetite by sustaining satiety (the feeling of fullness) for longer periods. 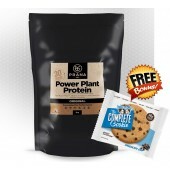 INTERNATIONAL PROTEIN NATURALS ISO-PEA Natural Flavoured Pea Protein Isolate is a plant derived protein made using a simple and gentle extraction process. This helps to maintain the pea’s natural nutritional properties and balanced amino acid profile. Mix 30g (1 SCOOP) with 250ml-300ml of cold water or rice/almond milk in a shaker or blender. Take whenever a protein boost is required, or up to 3 times daily. Alternatively sprinkle over breakfast cereal or add to smoothies. Pea Protein is versatile enough to be used in savoury or sweet recipes such as soups and baked goods. Best times for use are first thing in the morning (with breakfast), as a mid-morning or mid-afternoon snack, or 20-30 minutes before and immediately after exercise.